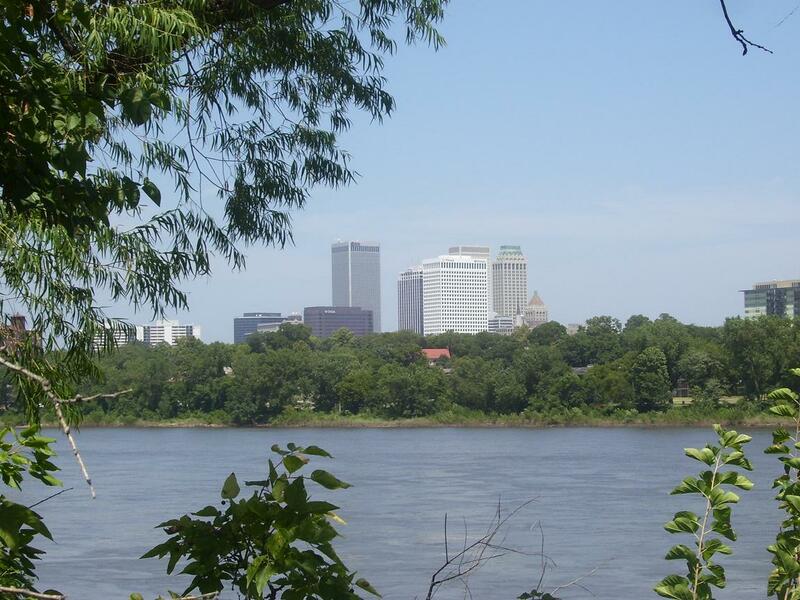 I am writing today from beautiful Tulsa, Oklahoma. While living in Texas I was taking a Texas history class at a community college. In writing a paper for class, I mentioned a political figure who was assassinated. I contrasted the pomp and circumstance of his funeral with the plain funeral of the man who killed him and was killed shortly after. I pointed out in my paper that, humanly speaking, the political figure was not any more of a saint than the man who killed him, yet he received greater honor. I then feared that my opinion might cost me a grade. Yet when I got my paper back, the professor had circled where I had written my opinion, and he wrote “Good point!” I got an “A”. Later I told my friends that maybe the professor was not a big fan of the political figure I referred to. He agreed that that was probably why I got the good grade. Another friend responded, “Your professor may or may not have agreed with your statement. He did not give you an A because he agreed with your thinking. He was just glad to see you thinking!” In other words, my history professor was not trying to clone himself. He was trying to get people to read, study and think for themselves. In evangelism it is very easy to try to clone people instead of making disciples for Jesus. Sometimes, while telling people to go by the Bible and the Bible only, we are blinded by our own traditions and can’t see to separate our traditions from plain Bible teaching. We end up teaching our view of what the Bible says instead of allowing the Holy Spirit to interpret the Bible to others. A while back I was working as a Bible worker in a church out in West Texas. A young man from a nearby college would visit our church and attend prayer meetings. We were glad to have him! He would come wearing a t-shirt and shorts. One night after prayer meeting an elder came up to me and said, “You need to talk to that boy and tell him we don’t dress like that for church.” There was only one problem. I couldn’t find anywhere in the Bible where it said you can’t come to church dressed like that. Sure there is counsel that we should wear our best and so forth, but who was I to decide what this young man’s “best” was? Once a lawyer asked Jesus how to have eternal life. Jesus, while being God, set us an example on how to answer such theological questions. Jesus did not give His personal opinion or philosophy. He directed the man to the Scriptures. Notice Jesus pointed the man to the law in the Scriptures and then asked him how he understood it, instead of telling him how to understand it. Jesus was allowing both the Scriptures and the Holy Spirit to do their work. We mustn’t think that people have to think just like we do in order to be led by the Spirit. In Wesley’s time, as in all ages of the church’s history, men of different gifts performed their appointed work. They did not harmonize upon every point of doctrine, but all were moved by the Spirit of God, and united in the absorbing aim to win souls to Christ.-Ellen White, Great Controversy, Page 257. Did you catch that? They were all led by the Holy Spirit even though they were not thinking exactly like each other. I have met too many Christians who believe that if you are led by the Spirit that you will think exactly like them, because, of course, they are led by the Spirit. I have heard people say, the Holy Spirit will lead everyone to become vegan because that is what the Holy Spirit led me to become, and so if they are led by the same Spirit they will do the same. But consider this, Jesus was led by the Spirit and never became vegan! He did, however, practice a Bible principle of eating and drinking only to glorify God. See 1 Corinthians 10:31. Jesus followed the Bible principle of eating the best foods available, which were also biblically clean, in His time and place. We are to do the same. In some places that may mean eating vegan. In other places it may not. Ministers who labor in towns and cities to present the truth should not feel content, nor that their work is ended, until those who have accepted the theory of the truth realize indeed the effect of its sanctifying power and are truly converted to God. God would be better pleased to have six truly converted to the truth as the result of their labors than to have sixty make a nominal profession and yet not be thoroughly converted. These ministers should devote less time to preaching sermons and reserve a portion of their strength to visit and pray with those who are interested, giving them godly instruction, to the end that they may “present every man perfect in Christ Jesus.” –Testimonies to the Church Vol. 4, p. 317. Never should the Bible be studied without prayer. Before opening its pages we should ask for the enlightenment of the Holy Spirit, and it will be given.-Ellen White, Steps to Christ, Page 93. Instead of cloning people to think and act exactly like us, shouldn’t we rather train them to study the Bible and rely upon the Holy Spirit to lead them into all truth? When they study the Bible, the same Holy Spirit that moved the writers to write those words thousands of years ago is right there with them to help them understand those words today. We need to remember that we all are human, and we all have human philosophies and traditions, no matter how biblically sound we think we are. Our job is not to clone people to be exactly like us, but to point them to the Perfect Example which is Jesus. This example is found in the Scriptures. “I commend unto you this Book.” – W. A. Spicer, Certainties of the Advent Movement, p. 202. Our church founder’s job was not to do our thinking for us, just as my professor’s job was not to do my thinking for me. Let’s exalt the Scriptures as our church founders did and, even more importantly, as Jesus did. As we study this quarter’s lesson together, let’s ask God to show us the difference between just cloning people to be like us, and making disciples for Jesus. I have always found cemeteries to be intriguing places. No, I am not morbid or obsessed with death. I am a people person, and people’s biographies interest me. I like reading the information on people’s gravestones and putting their stories together. When I was 14 my family visited Washington D.C. and Arlington National Cemetery. While there I somehow made a wrong turn, and lost my family for a while, causing me to roam the cemetery, contemplating the sacrifices represented by all the grave stones, as I wandered alone, lost in my own thoughts. Looking back, I think I got more out of the visit by being alone for a while. I also published a blog post a while back about another encounter I had, while exploring a cemetery. When I have time, I enjoy going to the Find A Grave website and reading people’s biographies. It is not about their death it is about their life. Late this afternoon I visited the Oak cemetery in Fort Smith Arkansas, and solved an old mystery. When I was a kid I would go with my parents to see my maternal grandfather’s grave. While there I ran across another grave stone which became a perplexing mystery to me. 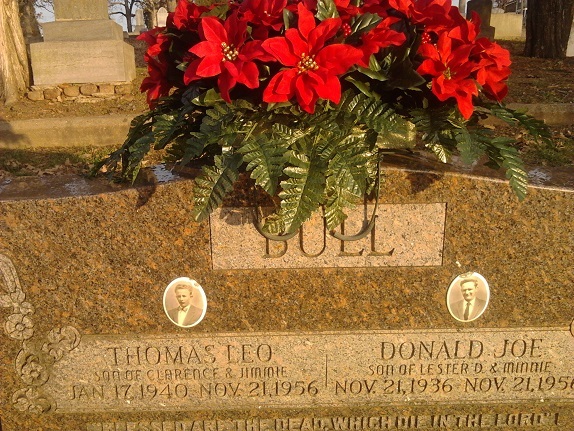 As I remembered, the tombstone had two pictures, one each of twin boys who both died on their 16th birthday. It haunted me, how they died and why they both died on their birthday? Did they get a new car for their birthday and have an accident? A swim party turned tragedy? I knew there was a story. Sometimes I feel sad, because I don’t have my own kids to tell my life story to. Everyone deserves to have their story told, and I wanted to know their story. Why did they both die on their 16th birthday? Decades after last visiting my grandfather’s cemetery, I was on the Internet one night and decided to try to find their story. I did not remember their names or any dates, so I just tried Googling search terms like, “Twins die on their birthday Fort Smith” and so forth but found nothing. I then decided I had to return to the cemetery, find their gravestone, get their names and Google them to find their story. While spending time in nearby Tulsa, Oklahoma this week, I decided now is the time. My mother graciously agreed to make the 100 mile trip, just to search for a tombstone and get the names off it. Well, that is not all we accomplished. My aunt Mary from Gentry Arkansas and her daughter Eva, who both used to live in Fort Smith agreed to meet us in Fort Smith, along with a couple of my mother’s cousins still living in Fort Smith, so we could go to dinner tonight, after visiting the cemetery. Driving down I was sure we would find it, as I remembered it being near grandpa’s grave. But I had no way to be sure of that. We arrived at the cemetery and started looking around, finding nothing. Then my mother’s cousins arrived. Jeannie, one of her cousins, thinking we were there to find a family grave, told us we were looking in the wrong place. I then told her about my mission, only to find that she had the answer to my age old mystery all along. I didn’t even need Google. I should have just asked Jeannie decades ago. I told her I was looking for a grave stone for two twin brothers who both died on their 16th birthday. “The Bull boys?” Jeannie asked. “There is a picture on their tombstone.” “Yes!” I said, “That’s it it had pictures on it!” She marched me right over the their grave, which was nowhere close to where I remembered it being. This is where I am now realizing how much I can forget or not remember exactly right after a few decades. On the way to the grave, she told me, they were not twin brothers, they were cousins. I was not sure we were talking about the same boys until we came to the grave and I immediately recognized the pictures. The picture on the left looked very familiar, almost exactly as I had remembered as a child. It was the same grave but the facts are not exactly as I remembered them. Imagine that! Things are not exactly as I remember them decades later. They were not twin brothers. They were not even brothers, they were cousins. However one of them did die at 16, and the other one did die on his birthday, and they both did indeed die on the same day. No wonder my Google searches were futile. However I did not even need Google to find their story. Cousin Jeannie remembered the grave from her youth, when her and her cousin would explore the cemetery, as it was right by her house. She knew the story too. Donald Joe was in the military and during a leave came to visit. He picked up 16 year old Thomas during school, at Fort Smith Central High School, so he could play hooky, and they would spend the day together. Sadly, after Donald helped Thomas escape from school, their car was hit by a train and they both died. Jeannie was in high school at the time, and while she did not know Thomas personally, she did remember all the other kids talking about it. 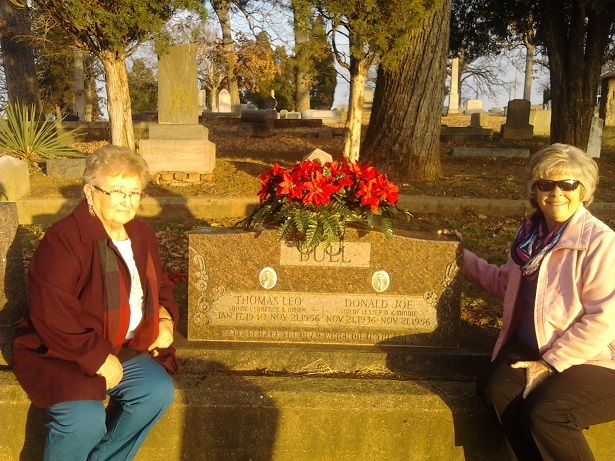 Cousin Jeannie on the left helped me find the grave and story that had haunted me for years. On the right is my cousin Eva who also helped put some of the pieces together for me. I learned my memory is not 100% accurate. The information on the tombstones was not exactly how I remembered it as a child, and as I said earlier, the grave location was nowhere near where I remembered it. I remembered it being much closer to my grandfather’s grave. Now I have to be more careful declaring things are exactly as I remember. Though I did remember enough over the last 38 years or so for my cousin to know what I was talking about. Also after all those years the pictures were exactly like I remembered. Especially the one on the left of Thomas. So the mystery has been solved. Neither Thomas or Donald probably had children to tell their story to, just like I don’t have any children to tell my story to. But tonight we got to share their story. I guess the good news is you don’t have to have children in order to share your story. Thanks to all you who read my blog and let me tell my stories. By the way, here is the only website I have found so far with reference to the train wreck. 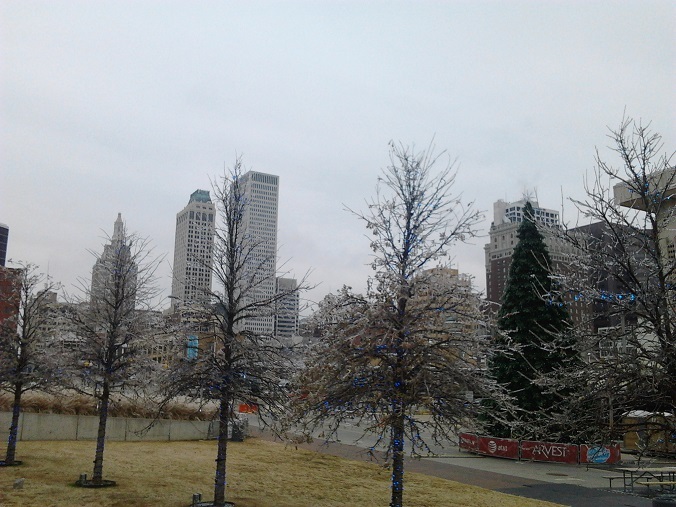 I am writing today from cold and freezing, beautiful Tulsa. When I hung up the phone, that is when I realized for the first time, that our heavenly Father was not just simply watching His Son make all the sacrifices. It was actually the Father who was making the greatest sacrifice in allowing all this to happen to His Son. Many of us would rather suffer than to see our family suffer. While the angels longed to rescue Jesus from this cruel world, I imagine the Father would rather have traded place with Him, but that was not the plan. I see adds where a family is having to move to another city and can’t take their dog for whatever reason. They have to leave the dog behind.The adds read that they want to make sure their dog goes to a good home. They want it to be well taken care of. If people want their dogs to be well taken care of, then don’t you imagine the Father wanted His Son to be well taken care of? Yet there are dogs who have been treated better than the way Jesus was treated. How this must have hurt the Father, yet He did it because of His love for you! He gave His precious Son to ransom you from the power of sin and the grave. How much He must love us! Through that gift there comes to us day by day the unfailing flow of Jehovah’s goodness. Every flower, with its delicate tints and sweet fragrance, is given for our enjoyment through that one Gift. The sun and moon were made by Him; there is not a star that beautifies the heavens which He did not make. There is not an article of food upon our tables that He has not provided for our sustenance. The superscription of Christ is upon it all. Everything is supplied to man through the one unspeakable Gift, the only-begotten Son of God. He was nailed to the cross that all these bounties might flow to God’s workmanship. In taking our nature, the Saviour has bound Himself to humanity by a tie that is never to be broken. Through the eternal ages He is linked with us. “God so loved the world, that he gave his only begotten Son.” He gave Him not only to bear our sins, and to die as our sacrifice; He gave Him to the fallen race. To assure us of His immutable counsel of peace, God gave His only-begotten Son to become one of the human family, forever to retain His human nature. This is the pledge that God will fulfill His word. 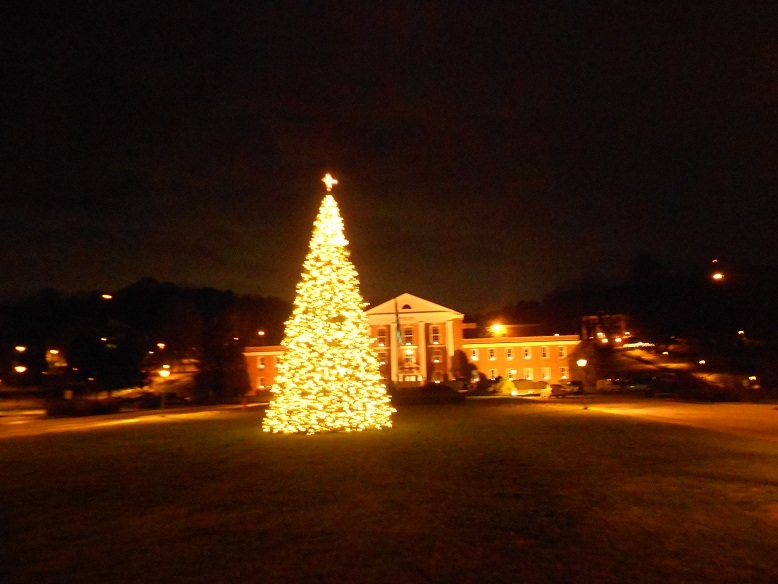 “Unto us a child is born, unto us a son is given: and the government shall be upon his shoulder.” Isaiah 9:6. God has adopted human nature in the person of His Son, and has carried the same into the highest heaven. . . . Heaven is enshrined in humanity, and humanity is enfolded in the bosom of Infinite Love. Christ bowed down in unparalleled humility, that in His exaltation to the throne of God, He might also exalt those who believe in Him, to a seat with Him upon His throne. –Ellen White, The Faith I Live by, Page 45. 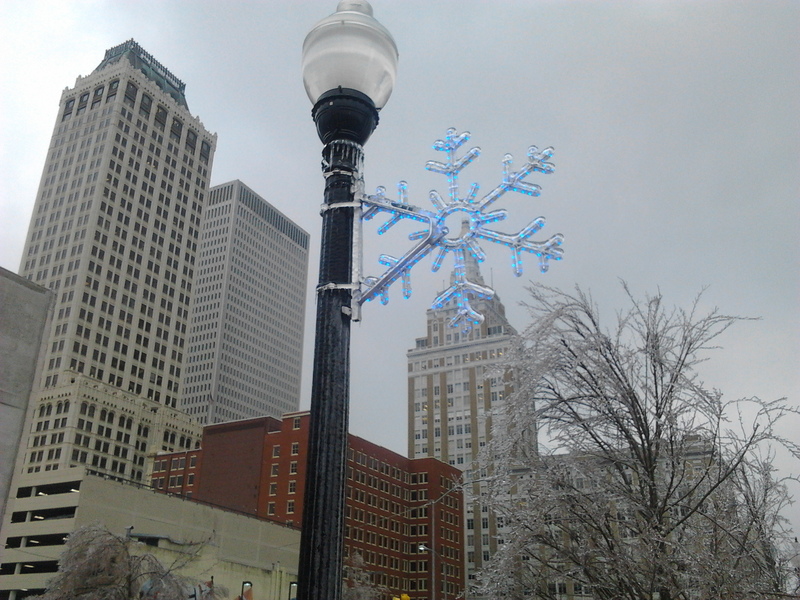 I am writing tonight from beautiful, icy cold Tulsa, Oklahoma. Luke 2:41-50 Tells about Mary and Joesph taking Jesus to the Passover, when He was 12 years old. On the way home Mary and Joseph assumed Jesus was in their company, however He was not with them. He was back at the temple, or what we would call the church of the day. Do we sometimes assume today, that so long as we are with “church” people that Jesus must be with us? The story of the Passover visit, the Jews demanding Pilate to crucify Jesus, and even the whole Israeli nation and its leaders worshiping Baal back in the days of Elijah, show us that we can’t afford to make the same mistake Jesus’ parents made, in thinking that so long as we are with a church that we must be with Jesus. Mary and Joseph were with “church” people traveling back home from the temple, but they weren’t with Jesus. So how do we make sure we don’t make the same mistake? 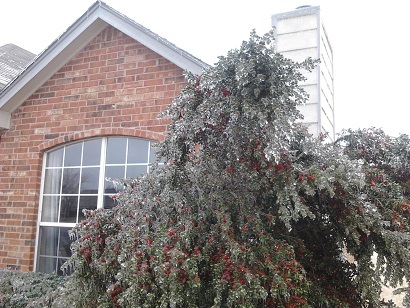 I am writing today from my parent’s beautiful icy home near Tulsa, Oklahoma. I love being with my family and friends. I love people. But you know what? I also enjoy being a lone. When I moved to Texas, 20 years ago, there was no texting or -email (that I knew of at least) and it took time to make friends. So, I would go to restaurants by myself, and bring a notepad and write hand written letters home, the kind that you mail with a stamp, to family and friends while I enjoyed my meal. However, soon I started making lots of friends in Texas, and so I had people to go dine with, and so the letter writing stopped. Fast forward to just a few years ago, living in Tampa Florida now. I was sitting at a stop light, looking at a nice restaurant on the corner, which for some reason reminded my of my letter writing days long ago. I decided, even though I have lots of friends I enjoy dining with here in Florida, that I kind of miss the days when I would go into a restaurant alone and write old fashioned hand written letters, so I did so! I don’t feel lonely when I am eating by myself. I don’t feel lonely when I take a solo bike ride down the Upper Tampa Bay Trail. I don’t feel lonely when I enjoy a good book on a park bench near the beach. I know I have friends even if they are not right with me at the moment. I know they are just a call or text away. So what does make me feel lonely? When people misunderstand me. When people misjudge my motives and intentions. When that happens it does not matter how many people are around. If they don’t understand me, that makes me feel alone. Thankfully I have good friends who are very understanding. Still, I think there are moments in our lives when we at least “feel” like no one understands. That can be a very lonely feeling. Jesus knows how that feels. We can ease that loneliness by joining Jesus in His cause. When we lay aside our own ambitions and join Jesus in His ambitions, we have fellowship with Him. In Gethsemane, Jesus longed for someone to pray with Him. Everyone was too sleepy and tired to appreciate what was going on at the moment. Jesus freely excused their weakness and human flesh, while in His humanity He longed for fellowship and someone to pray with. Some one to understand and join in His sufferings. It is not too late. We can have fellowship with Jesus today, by appreciating His sacrifice and praying with Him for the salvation of others, so that His sacrifice will not be in vain. Just a few days before Jesus’ death, a woman anointed him with perfume. This was not just any perfume. This perfume was very expensive and potent. Back in those days, people did not shower every day, and so the perfume was made to last for days to make up for that. This perfume was especially rich and potent. Just a few days later, Jesus was hanging on the cross. When the people jeered and mocked Him, and Jesus in His humanity was tempted to think that He was alone, He pushed his feet into the cruel spikes, the heave Himself up, so He could take a breath. As He inhaled He took in the aroma of the perfume poured all over Him just a few days earlier. The aroma reminded Him, there is someone who cares and understands! It eased His human loneliness. So today, our prayers and gifts for the cause of Jesus are an aroma that Jesus loves to breathe, knowing His sacrifice was not in vain. He is not alone. We have fellowship in His sufferings and in His glory, and He has fellowship with us! Have you ever heard somebody that you thought really had a gift for words? You know I don’t remember every gift everyone has ever given me, but I always remember how people’s words made me feel. I remember working at the Campus Kitchen, a fast food restaurant, on the campus of Southern Adventist University back in the 1980’s. I was delivering people’s food to their tables. One day we were swamped and I was running way behind. People were complaining and rightfully so. However, when I finally got a lady in her 30’s or 40s her lunch, I apologized for her wait. She told me she could tell we were busy and that I was working very hard, running all over the place, as best I could. She did something nobody had ever done at the CK before or since. Tipping was not customary at the CK, but instead of complaining, she gave me a $5.00 tip, which at that time would have been about a 100% tip! She told me she wished she had more to give me. She told me she knew it was hard working your way through college and that I was doing a great job. You know, thirty years later, the $5.00 is long gone and has been for quite a while. But what is lodged into my mind forever are her kind words. Her kind words encouraged me long after Abe was gone. Let’s take a look at how Jesus used words as a gift even in His growing up years. Let’s remember during this season of family get togethers, and always, that words will be remembered long after the things we gave as gifts are gone. 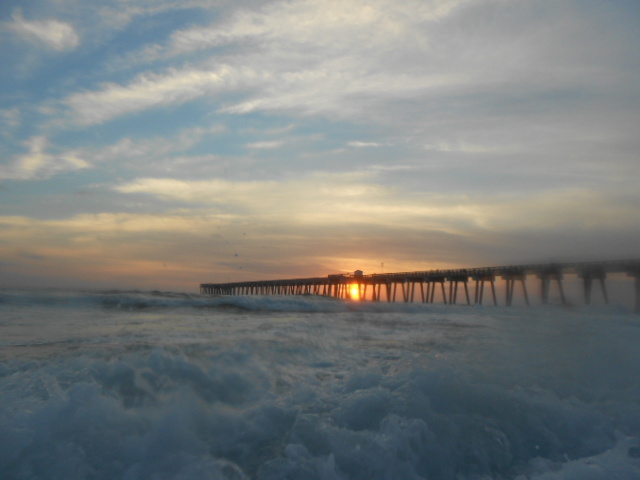 I am writing tonight from beautiful Panama City Beach, Florida. 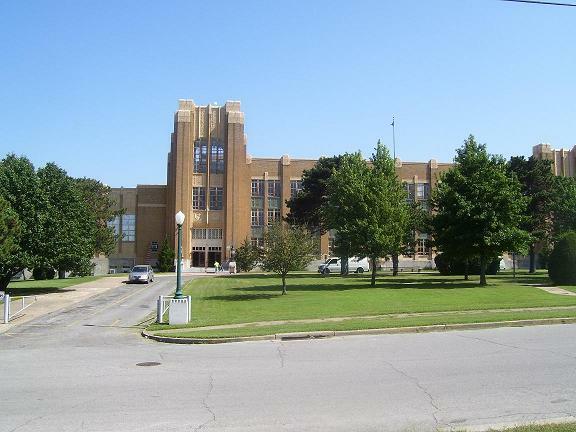 When I was in the 3rd and 4th grades at Tulsa Adventist Academy, we had our classes in the church building as the school was being remodeled, including the cafeteria. For those two years we had to bring our own lunch to school each day as there were no warm lunches. Occasionally, one of my classmates would forget their lunch. When this happened, the rest of us would share a portion of our lunch, maybe an apple or two, and part of a sandwich and some chips, so that with our combined offerings, they would have a complete lunch. However, I don’t remember any of us giving all of our lunch away, but look at what Jesus did, as a child growing up with his step brothers, when he found someone without a lunch. Are your teachings accompanied by acts of mercy and sympathy?